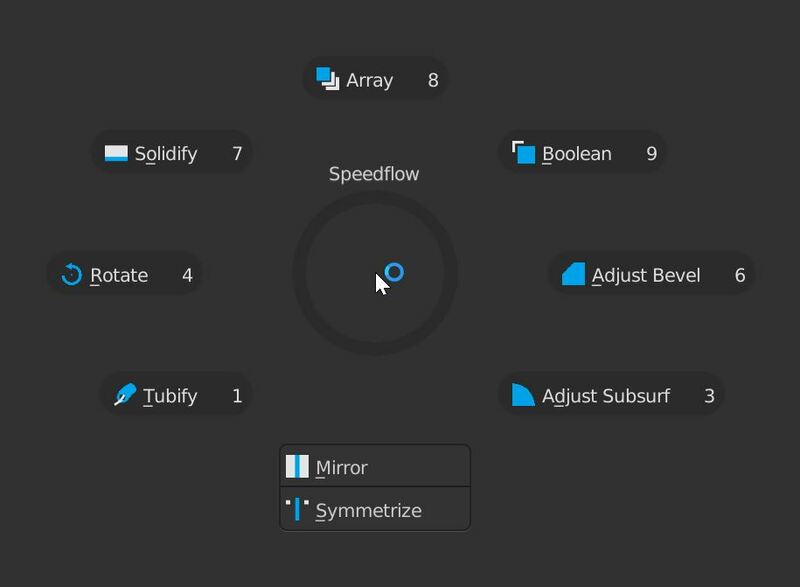 Speedflow is a group of 9 modals who allows you to improve dramatically your workflow for modeling! 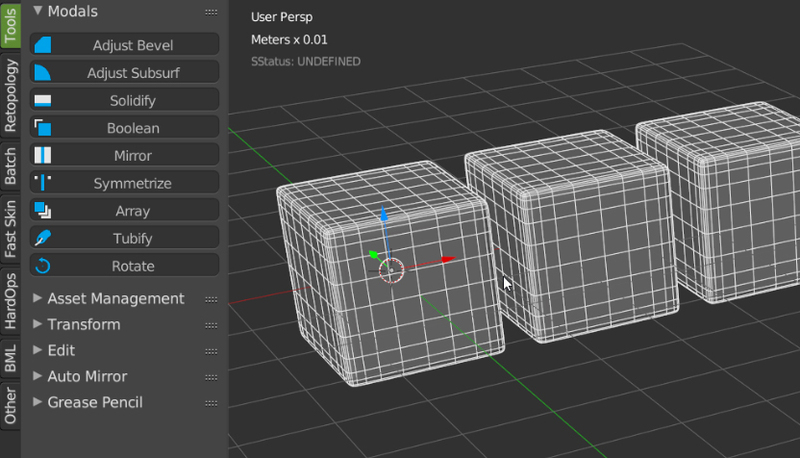 With the addon, you can manage modifiers directly in the 3D view as simple and fast as possible. Select an object, launch a modal and add multiple modifiers on the fly, launch another modal, add others modifiers and make your modeling faster than if you had to create modifiers by yourself. With the Array modal you can manage multiple Array Modifiers directly in the modal! With the Boolean modal you can add multiple Boolean Modifiers to your selection! 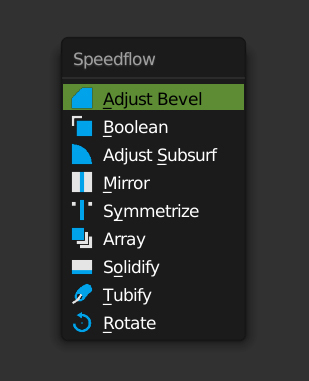 With the Bevel modal, you can add Bevel modifiers on you selection. This modal allows you to work on two modes, subdiv and Nosubdiv. With the Tubify modal you can create cables in one click! With the Symmetrize modal you can create symmetrize on multiple axis and objects! With the Mirror modal you can create mirrors on your selection and add multiple mirror modifiers! With the Rotate modal you can rotate with increments! With the Solidify modal you can add Solidify on your selection! With the Subsurf modal you can add a Subsurf modifier on your selection! The Addon allows you to add custom settings to fit your workflow. You can choose which type of menu you want to use. You can choose between a pen or mouse to work with. You can change settings from modals directly in the preferences. With Speedflow you can use Speedflow companion, a second addon really useful to manage your modelings. Speedflow is fully compatible with Asset Management, Carver, Hardops and Box Cutter! Use Asset Management to store your models, inserts, booleans objects etc. 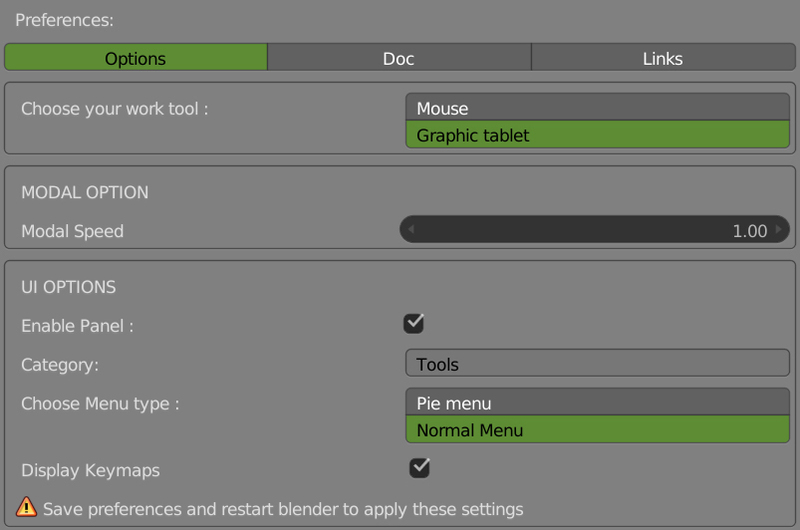 To talk about this Addon, you can go on the BlenderArtist Page. To ask support, use the support forum on this site. You can read the documentation for more informations ! This item has an average rating of 5 from 10 ratings by the community. I as an owner of both HardOps and Speedflow have to say that Speedflow suits me more it "Feels" more accessible than HardOps with it sometimes Confuse and overloaded UI. Don't get me Wrong Hops is an Excellent Addon but Speedflow feels more Easy to use and intuitive to me as someone who enters a world of Hard surface modeling. Especially the non-destructive workflow is very pleasing and gives you much Freedom. On top of it, it is compatible with Fluent which is as I must say such a nice Program for Hard Surface and they both work well together. Great addon, lot to learn. 5 stars, very helpful for my work! Version 2.8 which is in Beta at the moment is very good. Quite a big difference with older version. I have several paid addons and I can say; if you use this addon together with the companion (also latest version) then you made a good choice for (hardsurface) modelling. I'm really getting to make some things faster with this plugin. Great work! Works fine with no issues and it's a great tool.